We live in a new golden age of fairy tales and fables, and this is never more apparent than in the new anthology, xo Orpheus: Fifty New Myths. 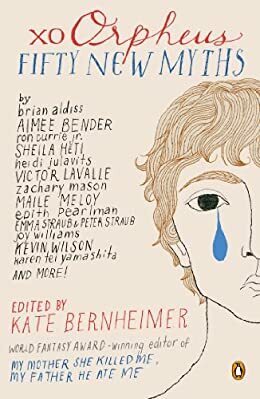 Edited by the ever-talented Kate Bernheimer, this collection includes retellings of classic myths from around the world by a stellar collection of writers that includes Aimee Bender, Joy Williams, Heidi Julavits, Emma Straub and Peter Straub (a collaborative tale), and Maile Meloy. For a chance at winning this book and a $100 Threadless gift certificate, leave a comment with the name of your favorite fairy tale or mythological character. A $100 Threadless gift certificate to buy t-shirts and much more. If you have already have the book or it doesn't interest you, I am happy to substitute a second $100 Threadless gift certificate. The winner will be chosen randomly at midnight ET Friday evening (September 27th).